How to Logistics is brought to you by Gwynne Richards and Susan Grinsted. Gwynne and Sue have over 50 years of experience between them of logistics and supply chain management but from different backgrounds. 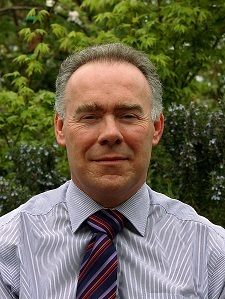 Gwynne has over 30 years’ experience in logistics and supply chain management. As well as running his own successful logistics consultancy, he provides a number of courses on warehouse and transport management for practitioners. He is a visiting lecturer at the University of Warwick and the University of Aston. He is also the author of Warehouse Management. Gwynne’s expertise lies in warehousing and transport, including setting up agreements with third party logistic providers, or outsourcing. 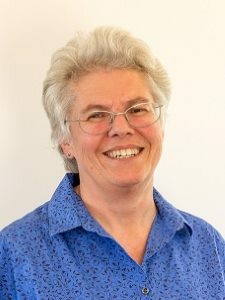 Susan Grinsted is an educator, trainer and consultant. She works with a number of educational institutions in Britain, France and Finland, as well as multinational companies all over the world. Her work focuses on transferring knowledge and skills to enable those companies to improve their performance. Sue’s experience comes from managing material flow into, through and out of factories. Both of us have been line managers, consultants, trainers and educators. We have seen a lot of different businesses in many different countries all over the world. Our passion is to transmit our experience and knowledge of best practices to improve the performance of the people with whom we work and the companies in which they operate. We want to provide accessible and understandable techniques and examples that guide you through to your own success. We start by offering you the tools with clear examples and templates for you to use (no need to re-invent the wheel! ), and can then support you with online consultancy if you wish. You do not need to buy a thousand books, or join expensive clubs and societies. You just choose the relevant tools for your current project or target. We provide the presentations that will convince your boss to allow you to move ahead with an improvement project, the templates for assessing and analyzing your current position, and the projects to guide you to a successful result. We want to help you succeed in your career!